A jingoistic motorcycle club and a war veterans' group have received presidential grants to fund patriotic youth clubs across the country, including one in Crimea, the territory annexed from Ukraine last year, according to a list of awards to nongovernmental organizations published Thursday. In total, 900 million rubles ($14.5 million) was awarded to 389 projects. Among the recipients were some organizations that have been branded “foreign agents” by the government. 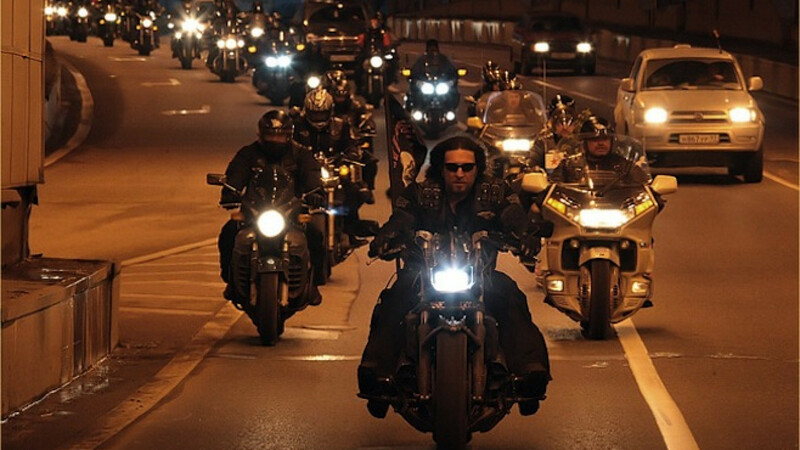 According to the list, the Night Wolves, a patriotic biker gang that champions President Vladimir Putin and the Russian Orthodox Church, was given 12 million rubles ($190,000) to build a “Patriot” youth center in Sevastopol in Crimea. Another patriotic organization, Boyevoye Bratstvo (Brothers in Arms) got 17.6 million rubles ($280,000) to open a legal protection center for war veterans and a chain of patriotic training centers for youngsters. Both organizations are among the founders of the Anti-Maidan movement, which was established in January to prevent a repeat in Russia of the street protests in Kiev that overthrew the Ukrainian government last year. Patriotic projects from other organizations including the Communist Party and the Journalism Support Fund were also among the grant recipients. But along with pro-government movements, cash was also given to a number of NGOs that had been labeled “foreign agents” under a 2012 law that penalizes organizations which receive funding from abroad and engage in loosely defined "political activities." Human rights group Memorial was given 6 million rubles ($95,000) to fund legal consultations for migrants. Soldiers Mothers of St. Petersburg was granted 2.7 million rubles ($45,000), and For Human Rights received 5 million rubles ($80,000). Political analyst Konstantin Kalachyov told the Vedomosti newspaper that giving money to “foreign agents” was an attempt by the authorities to buy their loyalty. “It would be odd if the authorities didn't try to co-opt these organizations, which symbolize something and are accepted abroad,” he said. However, the more loyal an NGO is, the more money it gets from the state, he added.